Now available in a discounted bundle, buy together and save over 45%! Now widely adopted in courses throughout the world, the prestigious Nutrition Society Textbook Series provides students with both specific scientific information and appropriate content. Are fully peer reviewed, to ensure completeness and clarity of content, as well as to ensure that each book takes a global perspective. 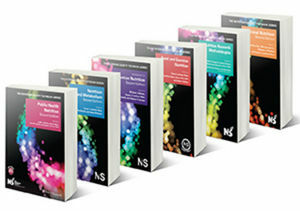 Nutrition Society is the author of Nutrition Society Textbook 2e Set, published by Wiley.